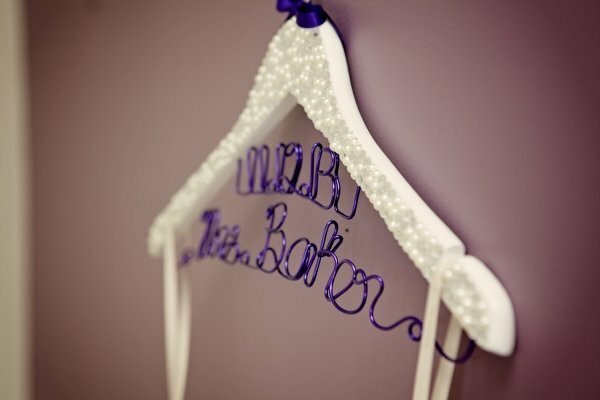 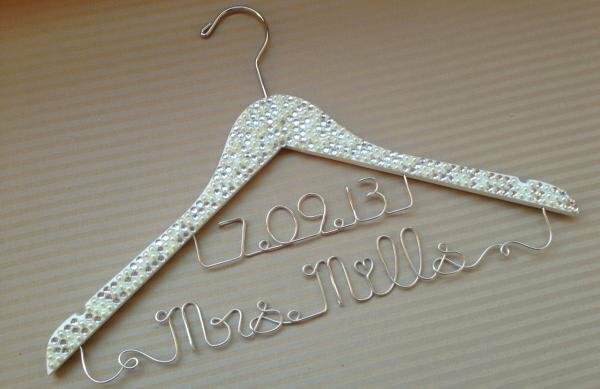 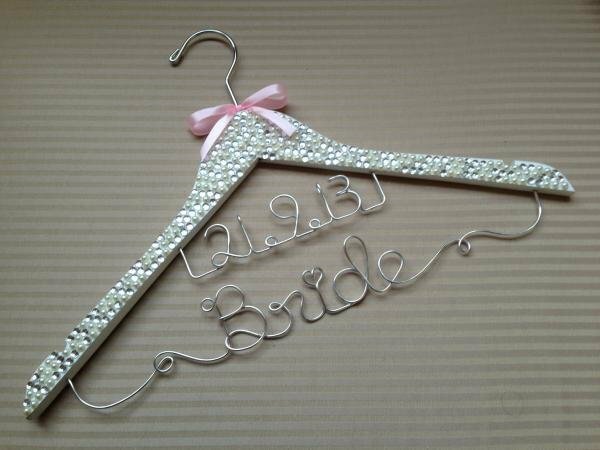 Stunning faux white pearl & sparkling clear crystal covered wedding coat hangers personalised with names & wedding date. 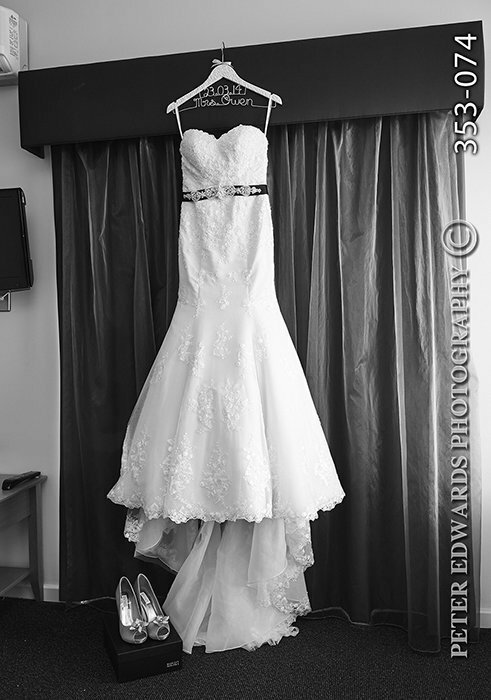 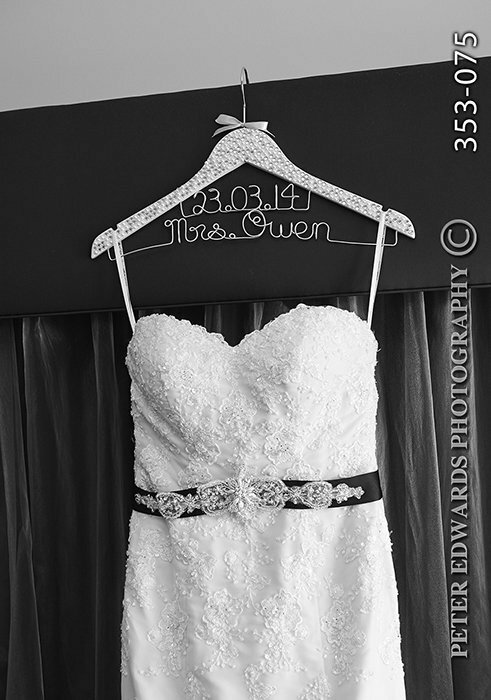 A lovely way to display your wedding dress for photographs & also a special keepsake after the wedding day. 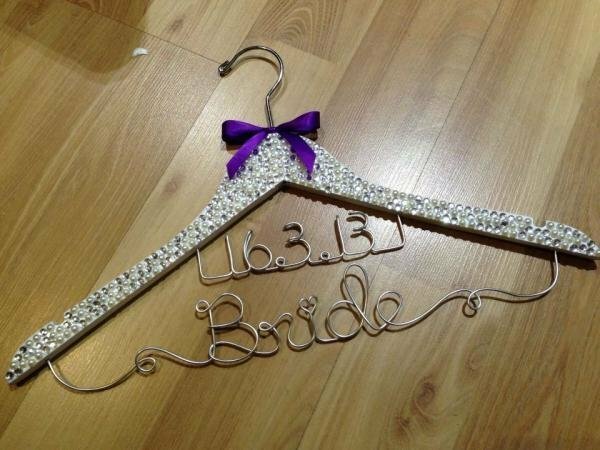 You can choose your own text, for example: Bride, Bridesmaid, Nicole, Mrs Smith, Mum etc. 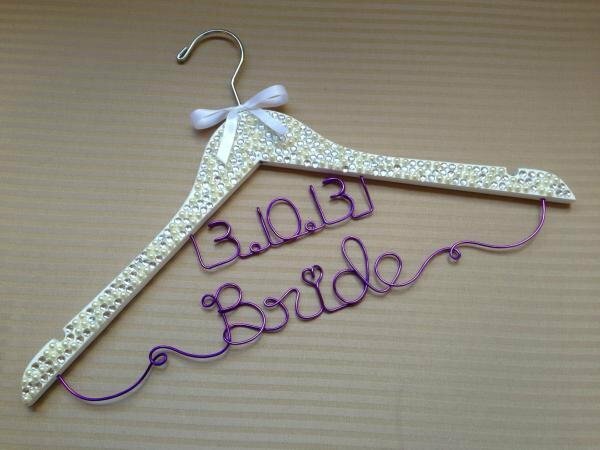 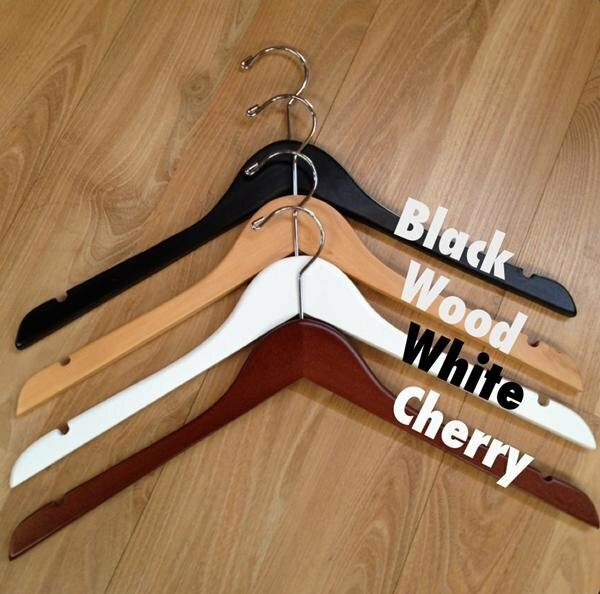 Please enter the custom name & date in the fields above as well as choosing your hanger colour. 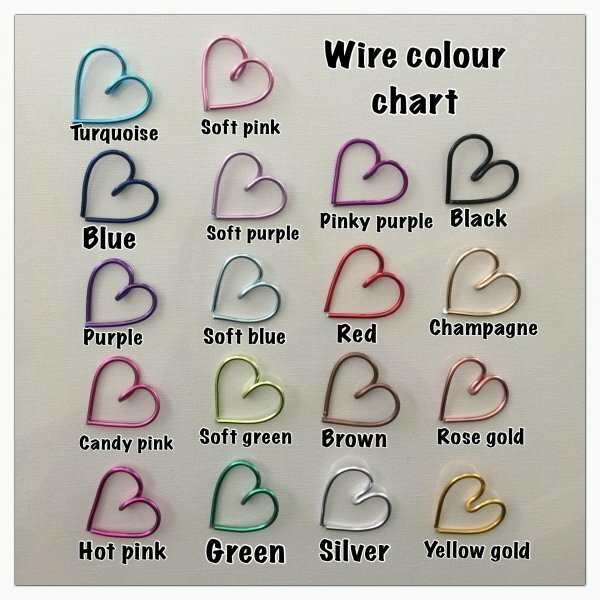 NOW AVAILABLE IN 18 DIFFERENT WIRE COLOURS: (Please specify your choice above).